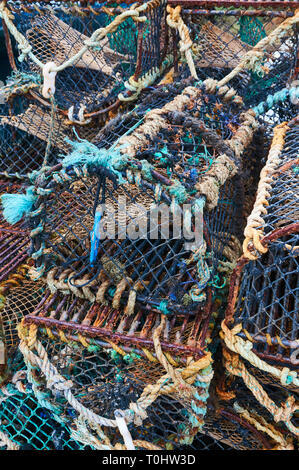 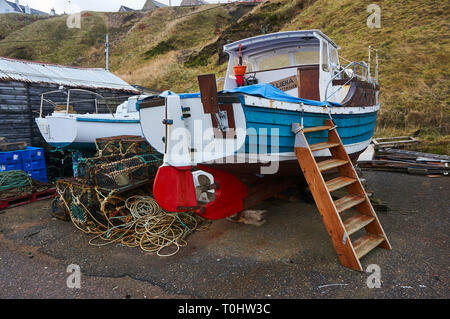 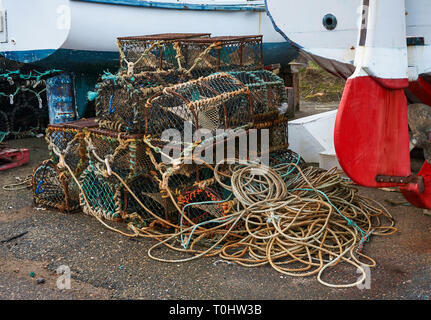 An old fishing boat and lobster / crab creel in the harbor of Portknockie, Scotland, UK. 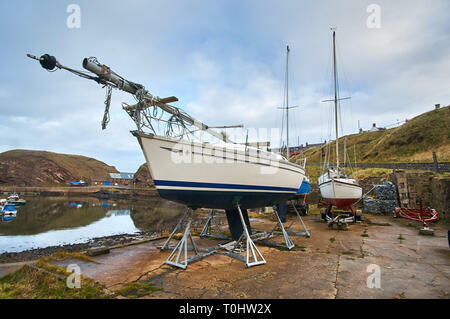 A leisure boat / yacht sitting in the harbor at Portknockie village, north of Scotland, UK. 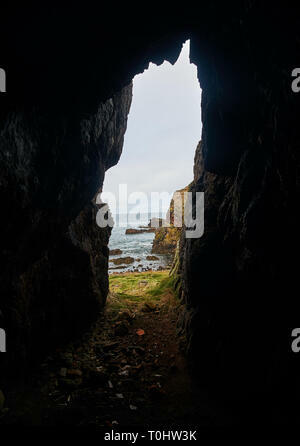 A view from a cave at the beach in Portknockie, towards the north sea. 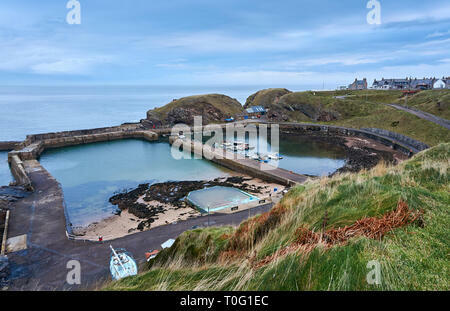 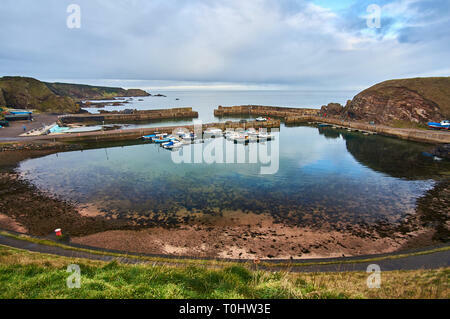 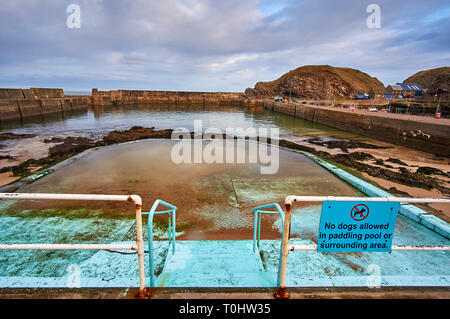 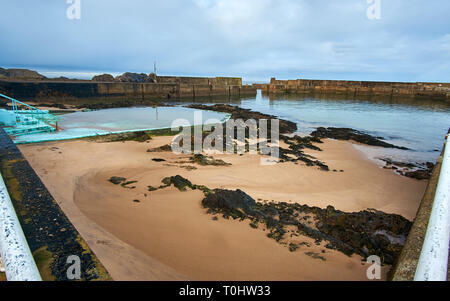 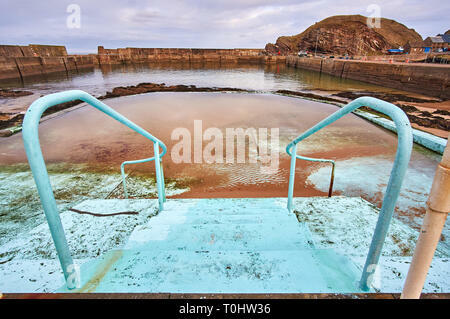 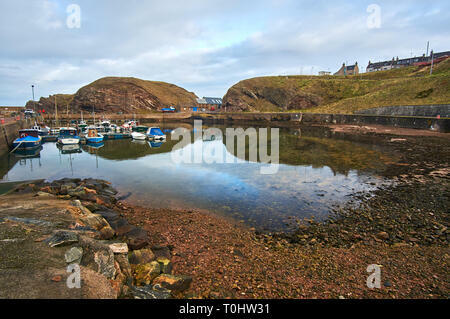 Tidal pool in Portknockie harbour, an old Scottish fishing village located in Moray Firth, UK. 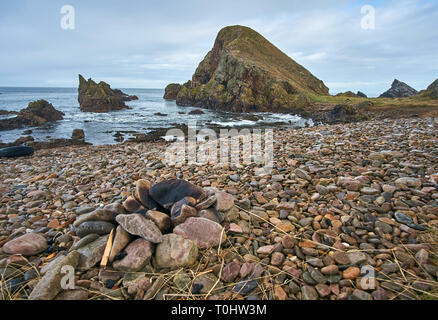 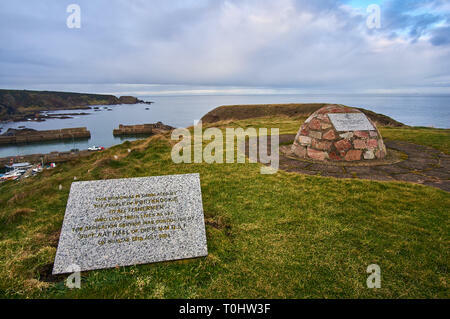 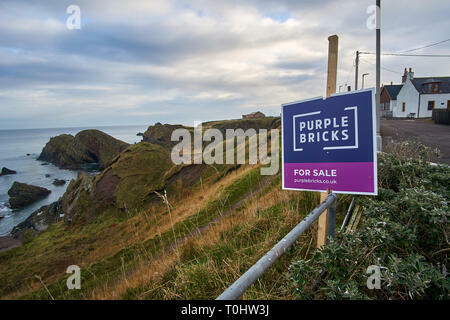 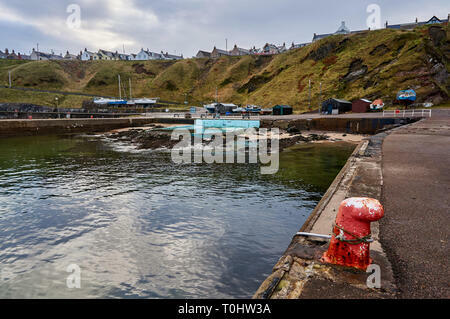 Portknockie is an old herring fishing village located in the Moray Firth on the coast of the North Sea, north of Scotland, UK. 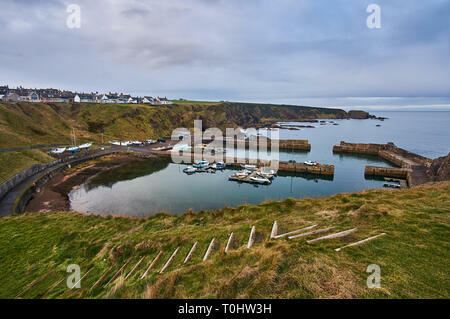 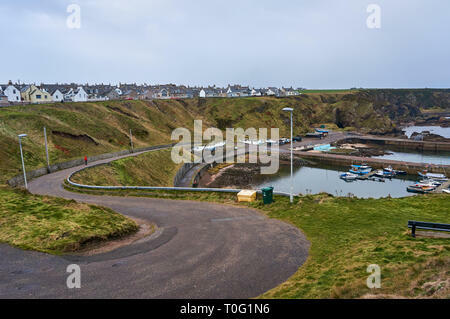 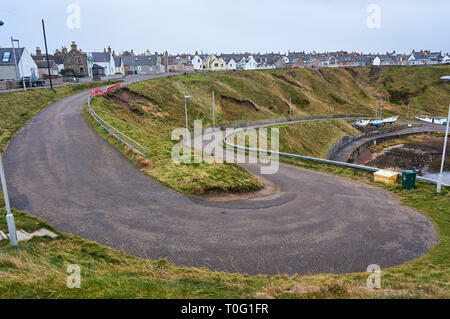 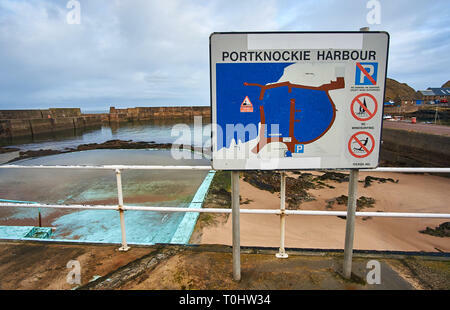 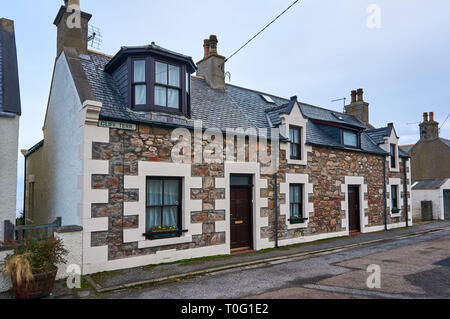 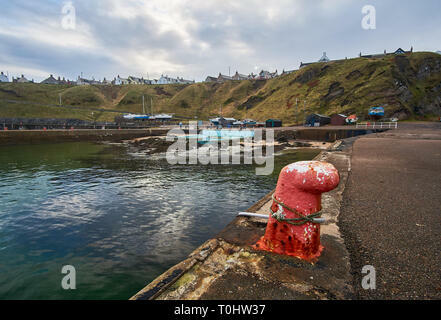 Portknockie harbour, an old herring fishing village located in Morayshire, north coast of Scotland, UK.